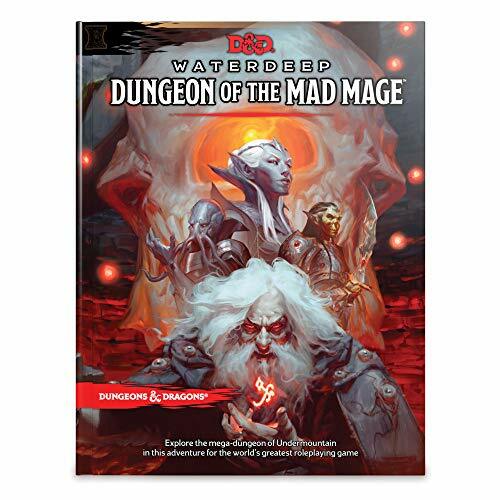 • The follow up to Waterdeep: Dragon Heist, Dungeon of the Mad Mage takes adventurers deep into one of D&D's biggest dungeons. Each of Undermountain's twenty-three levels is an adventure setting unto itself, and the book includes a map for each one. • Waterdeep, known as the City of Splendors, is one of D&D’s most iconic locations. Also the setting for the board game Lords of Waterdeeep, it’s the jewel of the Sword Coast—a sprawling melting pot held together by firm laws and swift justice. 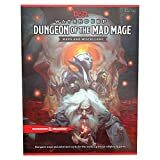 • Dungeon of the Mad Mage is the second of two Dungeons & Dragons books set in Waterdeep. 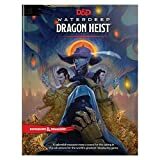 It picks up where the first, Dragon Heist, leaves off, taking characters of 5th level or higher all the way to 20th level. • In D&D, you and your friends coauthor you own legend. 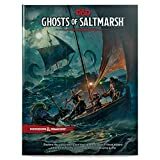 Guided by a Dungeon Master, you create characters and play their roles in a story, rolling dice and navigating maps as you unfold a tale as limitless as your imagination.